To better accommodate those of you who consider yourselves “Movers-and-Shakers”, Rockbox Theater has added a bit of interest to their regular show schedule. 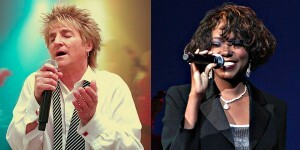 Join them next weekend for a little extra fun as the regular cast teams up with Rod Stewart and Whitney Houston. Show times are Friday, June 14 at 8:00pm and Saturday, June 15 at 4:30pm & 8:00pm. Tribute artists Rob Caudill and Jazmine Katrina have performed all over the world as professional impersonators. They are a dynamic duo and they are excited to perform some of their respective artists’ greatest hits from the 1970s to Today. Show times are Friday, June 14 at 8:00pm and Saturday, June 15 at 4:30pm & 8:00pm.